A kaleidoscope of color engulfed Doha at the Qatar National Convention Centre as The Color Run presented by Sahtak Awalan: Your Health First saw people walk, run, skip and laugh their way to the finish line. In total, more than 9,000 Color Runners completed the ‘Happiest 5K on the Planet’ and were coated from head-to-toe in an array of colors thanks to this year’s Dream World Tour theme. 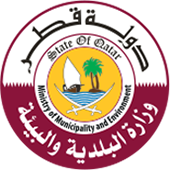 One of the biggest and most colorful events that Doha has ever seen, this edition of The Color Run presented by Sahtak Awalan: Your Health First, brought five exhilarating color zones: red, yellow, green, blue and pink for participants to run through. Color Runners gathered for the warm-up exercises before the first wave of runners dashed off on the 5k course in their tutus, party socks and sunglasses. 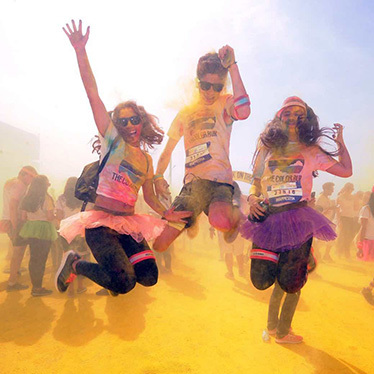 At 1km intervals around the course, participants were doused in vibrant colors, before celebrating at the Finish Festival, which included the world-famous color throws. Since its inception in 2012, The Color Run has become a global phenomenon, continuing to innovate the 5k paint race genre each year. The Color Run has been experienced by over 6 million people worldwide in 35+ countries and has donated $5 million to charity to date. This year, The Color Run presented by Sahtak Awalan: Your Health is once again donating $1 of every entry to Educate Above All.